Your kids will have a ball helping you make (and eat!) 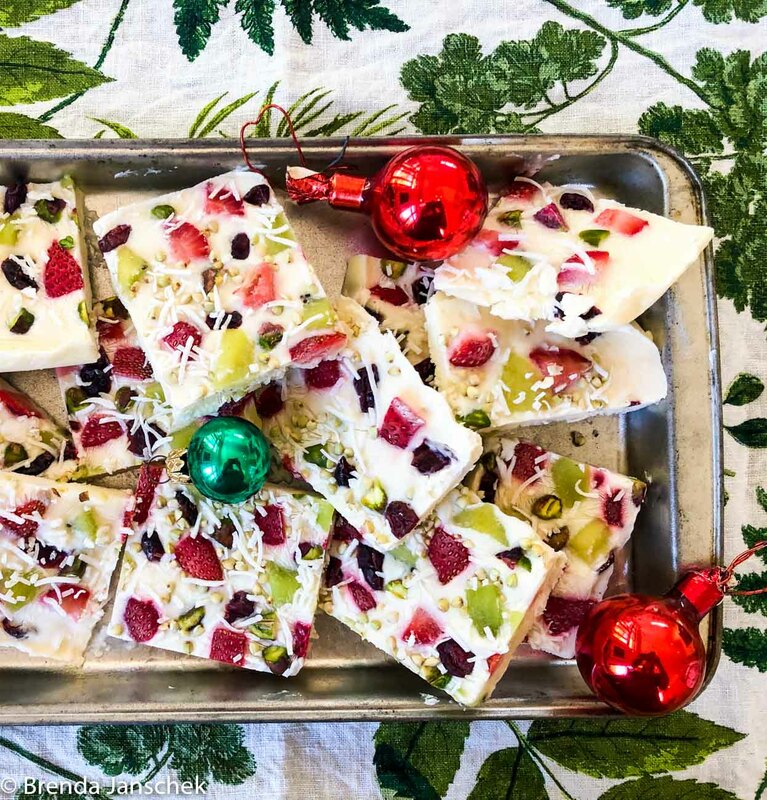 this simple Christmas yoghurt bark. My husband’s Austrian relatives would probably have a good old chuckle at the idea of a frozen dessert for Christmas. 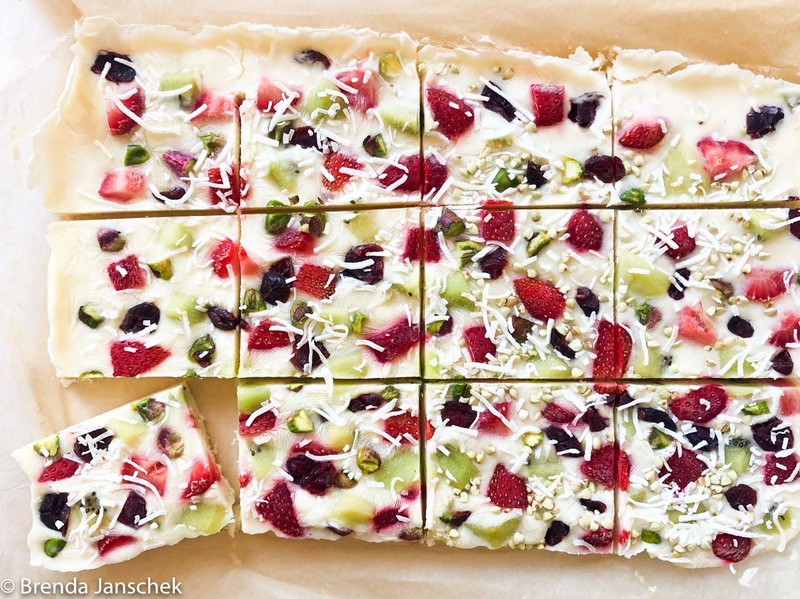 But here in Australia where it’s all about warmth, swims, sunshine and another shrimp on the barbie at Christmas time, this frozen yoghurt bark is the perfect way to dial the heat right down. 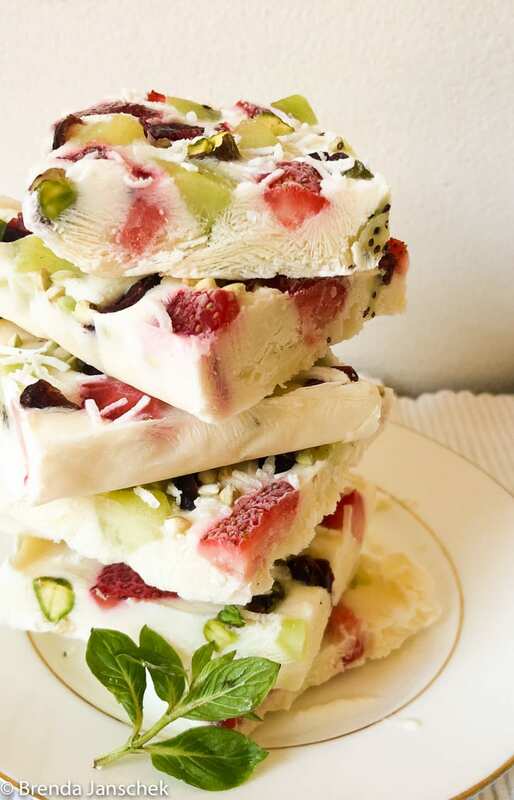 The beauty of this recipe is that once Christmas is done you can experiment with lots of fun toppings and enjoy a delicious and cooling snack right through the summer. 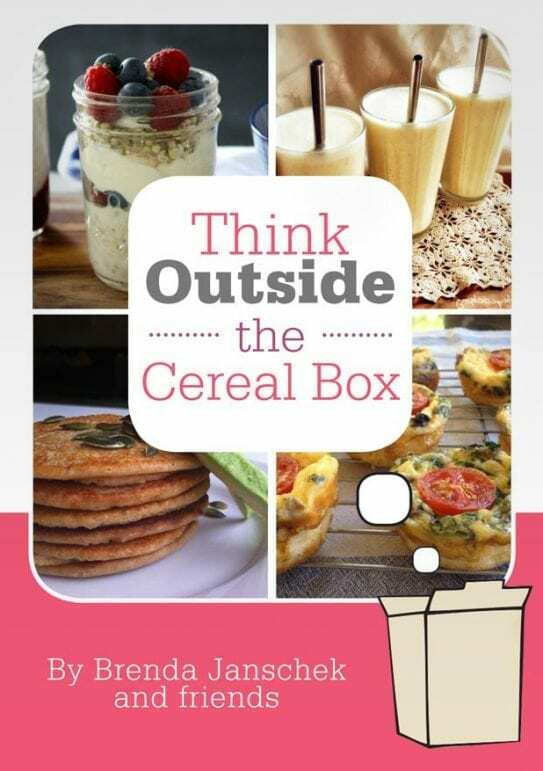 Combinations like mango, macadamia and coconut, or dark chocolate chip and banana, or you could swirl some homemade chia jam or St Dalfour’s raspberry jam through the yogurt and top with mixed frozen berries. Clearly the possibilities are endlessly delicious. In a small bowl, mix together the yogurt, maple syrup and vanilla extract. Pour the yogurt into the centre of the tray and spread evenly. Gently press some of the pistachios and cranberries into the yoghurt. Make sure you save some to decorate the top. Sprinkle the buckinis over the top of the yoghurt if using. Place kiwi fruit and strawberries onto the yogurt. Sprinkle with shredded coconut if using. Cut into sections and serve. If you make my recipes please take photos and send them to me. If you share them on instagram, remember to tag me @brendajanschek. I get a total kick out of seeing you bring my recipes to life. Here are a couple other delicious Christmas Recipes you will just love.